The content here is not itself so interesting. What is interesting is what it is. 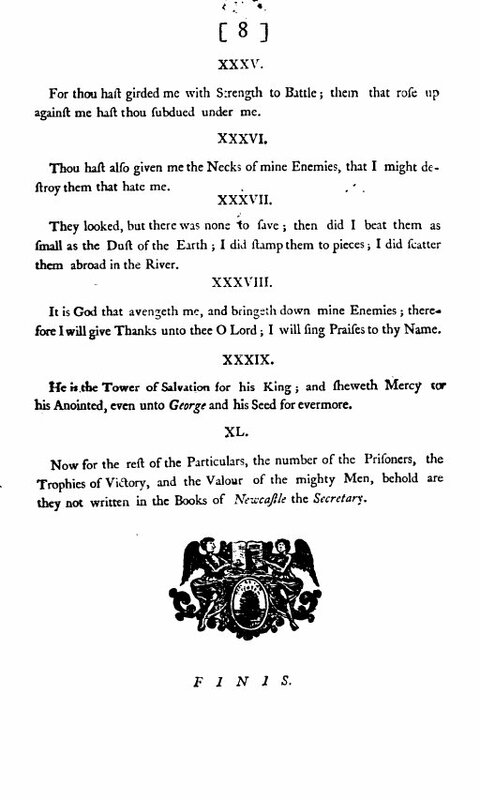 It is the text of the prayer composed by D.R. 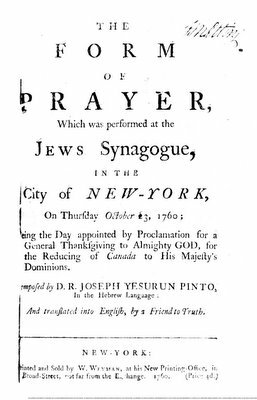 Joseph Yesurun Pinto (acting) rabbi of Jews Synagogue in New York City on October 23, 1760 on the occasion of the day being "appointed by proclamation for a general thanksgiving to Almighty God, for the reducing of Canada to His Majesty's dominions." 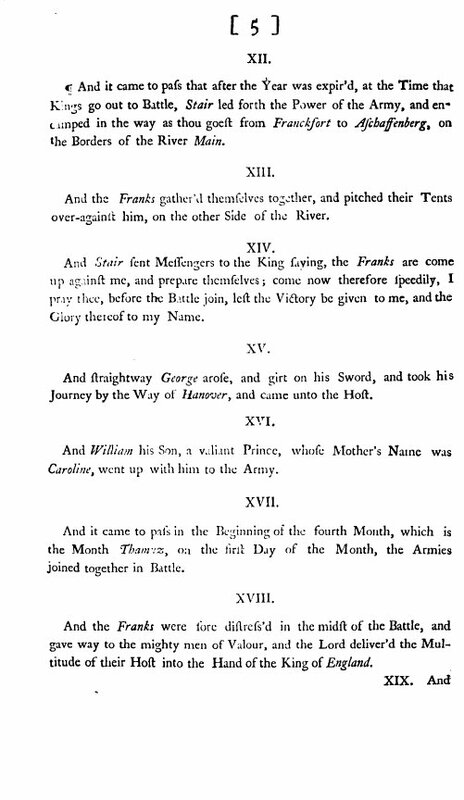 This is only two of seven pages. It's mostly tehillim and some of it is two tefillos he composed himself, one said by shacharit and one by mincha (or maariv?). They live in fear that people who question too much will come to conclusions that might translate in losing their commitment to Torah and Mitzvos. They have been shell shocked by Haskallah. They don't realize that they are in a different era. Doesn't matter who "they" is. You can check this for context. On the one hand, the maskilim were the personification of evil, or so I was inculcated to think. On the other hand, we'd spend afternoons reading Shakespeare and dissecting frogs. On the one hand, Graetz was krum she-be-krum. On the other hand, we'd have a Jewish history class (I'm talking elementary school here, ch"v to learn history in a mesivta). On the one hand, madda is krum, on the other hand, there were ten Jastrow dictionaries floating around the Beis Medrash. And on and on and on it goes. The point: it is disingenuous to castigate and fear that which has actually penetrated already and proven useful. Why should one pay allegiance to a failed strategy of 150 years ago? Should one pretend that we pasken chaddash assur min ha-torah when the reality is that every yeshiva is permeated with that which was assur, assur, assur then? Everything from the vernacular to graduation ceremonies to who knows what. Yeshiva Orthodoxy has in many ways de facto made its peace with modernity. It needs to do so de jure, or else a certain amount of its product will always look back and see hypocrisy. Chana posts about a company called TextWord who publishes "High school textbooks of distinction that promote academic excellence and preserve traditional family values." This is interesting, but I am not making any kind of claim about it, you know, that they aren't open about the fact that the two companies are one and the same. After all, all this info is readily available online (although I did remove their contact info). TextWord, according to Chana, presents literature so that it can be incoporated into yeshivos without traumatic expressions like אלהים אחרים "ye gods," which are so antithetical to Jewish values. 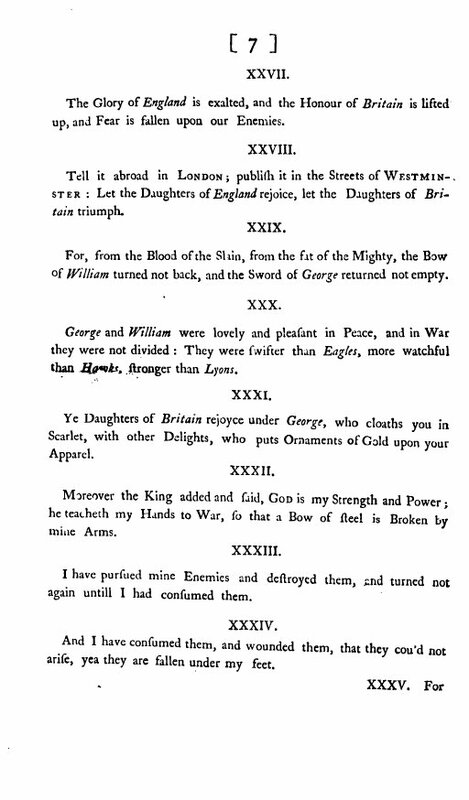 Therefore TextWord cuts up Shakespeare and the like. Chana points out that their literature never points out that they do this. Steven Weiss posts about YCT's 'Catholic shindig.' 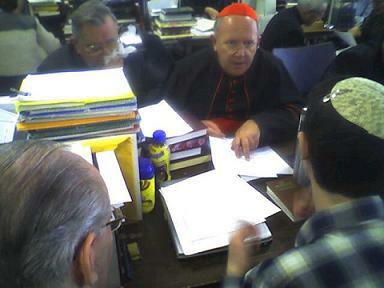 Cardinals came to the YCT Beit Midrash to study Talmud with students. This goes further than the RIETS incident two years ago. If one considers the historical relationship of the Catholic Church and the Talmud, “the burnt book,” as one author put it, one would realize that this is an ENORMOUS kiddush Hashem of epic historical proportion. Roman Catholic Cardinals paying homage to the Talmud and covering up their crosses, coming to Jews to respectfully hear what they have to say. Don’t be knee-jerk. Look at the grand sweep of history. Here is an account of the Shabbetai Sevi event published in 1669, only three years after the climactic conversion of Sevi to Islam. The work is called The history of the three late, famous impostors, viz. Padre Ottomano, Mahomed Bei and Sabatai Sevi, by John Evelyn (1620-1706). 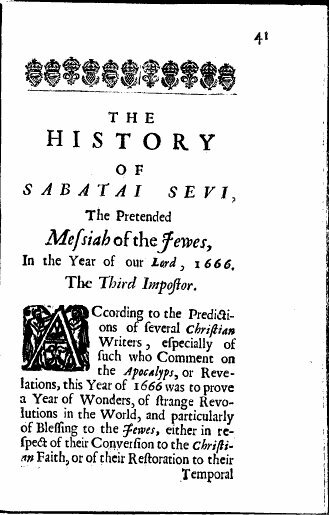 This piece is from the third section, called "THE HISTORY OF SABATAI SEVI, The Pretended Messiah of the Iewes*, In the Year of our Lord, 1666. 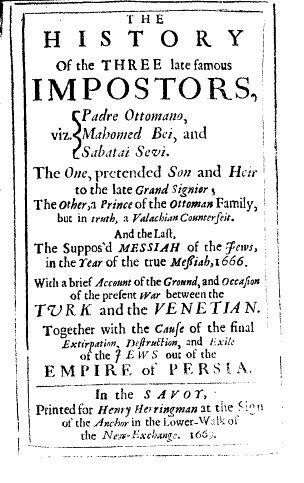 The Third Impostor." Shadal--R. Samuele Davide Luzzatto--was a great-nephew of another Luzzatto--Ramchal, author of Messilat Yesharim. He was an iconoclast in the sense that he was totally unafraid to be an original thinker. 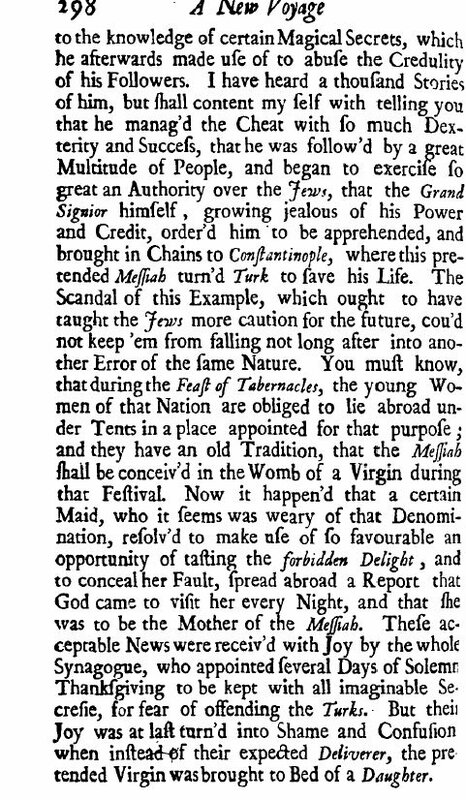 Given the intellectual climate some of us are familiar with today, some of the things he wrote seem shocking. But there is no evidence that he had a rebellious bone in his body. Eearly-mid 19th century Italy was not early-21st century Brooklyn. He wrote, for example, "I esteem Maimonides very greatly, but Moses the Lawgiver never dreamed of philosophy and the dreams of Aristotle." (Letters no. 83, quoted in J. Enc.) 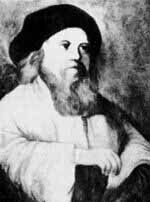 True, the Vilna Gaon held a similar view about the Rambam, but today many people would say "[the Vilna Gaon] could say it," but certainly not Shadal (who?)! Unlike his uncle, who was a kabbalist, Shadal was very skeptical of kabbalah in general, something he arrived at an early age--before his bar mitzvah. 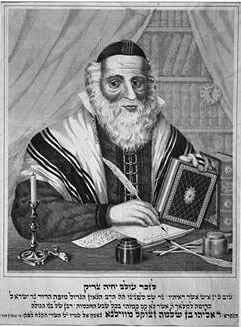 In 1814 his mother took ill and his father, who was very much into kabbalah, wanted him to pray certain kabbalistic tefillos (or perhaps pray with kabbalistic kavanot) for his mother. 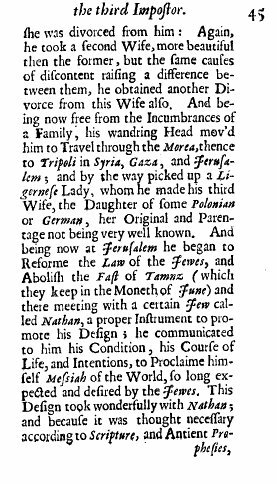 His father believed that his tefillos had a certain purity due to his age. Young Shmuel David refused, because he did not accept kabbalah! This certainly would seem to be cruel, but at the time he was personally taking care of her, cleaning the house etc. And it is said that when his poor mother would cough up blood he was the only one in the family who could stand to be there to clean her up. Anyway, this gets to the matter of kabbalah. To many people kabbalah is the holiest of holy. To say that it is authentic would be an understatement. But alas, not everyone shares this view. Others are totally antagonistic toward kabbalah. Some think it is pure bunk. Some think it is a type of philosophical search, perhaps analagous to alchemy as a proto-scientific field. In that sense, it isn't "true" but neither is it false and forgery. Precisely where I personally fall isn't important, but let's say simply that I am not kabbalistically inclined. The thing about that is that so MUCH halakhic praxis derives from the kabbalah! Today is Rosh Hodesh. Removing the tefillin before mussaf is a kabbalistic practice. Reciting the ana bekoach prayer, the berich shemei are kabbalistic. Friday night kabbalat shabbat is kabbalistic. And on and on it goes. The question is, if [I] lean away from kabbalah, should I follow kabbalistic practices? The answer for me is yes. Putting aside the fact that there is plain beauty in a lot of kabbalistic ideas and practices, which would seem to justify them in their own right, I coulnd't stop these things personally not because I "believe" in kabbalah, but also because it is close to impossible to perform kabbalah-removal surgery on halakhic praxis because it is so infused with kabbalah! In addition, I personally feel that to tamper with nussach and halakhah while I am still far from learned enough or perfect enough would be the height of yohora (religious haughtiness) for me. When it comes to things that aren't minhag avoseinu, e.g., inserting a passuk relating to my name at the end of shemona esrei (as per Shnei Luchot Ha-brit), I don't feel compelled to adopt it. But if we're talking about something like kabbalas shabbos or saying brich shemei, I'm not going to take out a scalpel! Of course I've delicately avoided more touchy kabbalistic issues, such as saying a "le-shem yichud," before performing a mitzvah. Most of the practices I cited aren't really anything one way or the other. But when it comes to intending to perform a mitzvah "in the name of the unity" of God (last I checked, there was no problem with God's unity) or not wearing tefillin on chol ha-moed, a real halakhic issue, I have but to refer to the principle I outlined before: if my family does it, so will I. 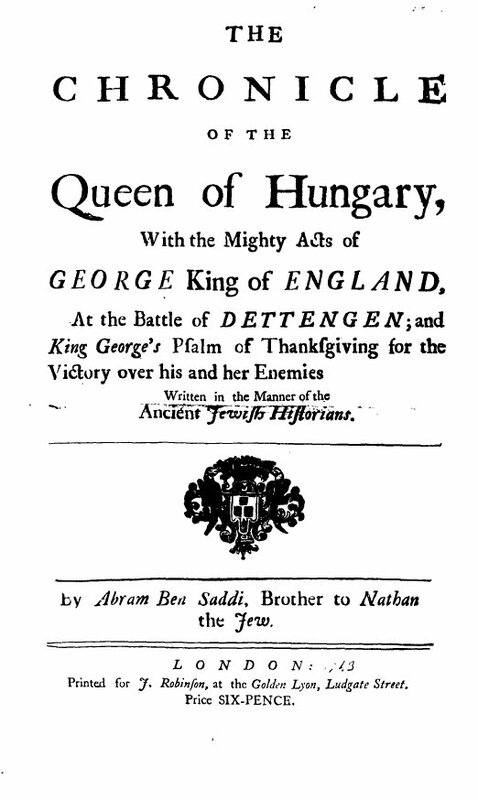 As you can see, this strange document is called The chronicle of the Queen of Hungary, with the mighty acts of George King of England, at the battle of Dettengen; and King George’s psalm of thanksgiving for the victory of his and her enemies written in the manner of the ancient Jewish historians and it purports to be written by "Abram Ben Saddi, brother to Nathan the Jew." 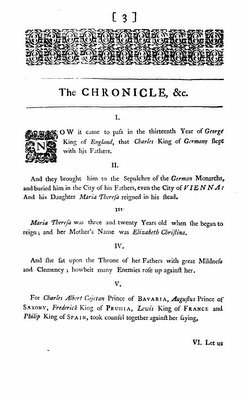 It was published in London in 1743, and it mimics the style of the chronicles in the Hebrew Bible. Abram ben Saddi is a pseudonym for, it is believed, this guy, or perhaps this one. 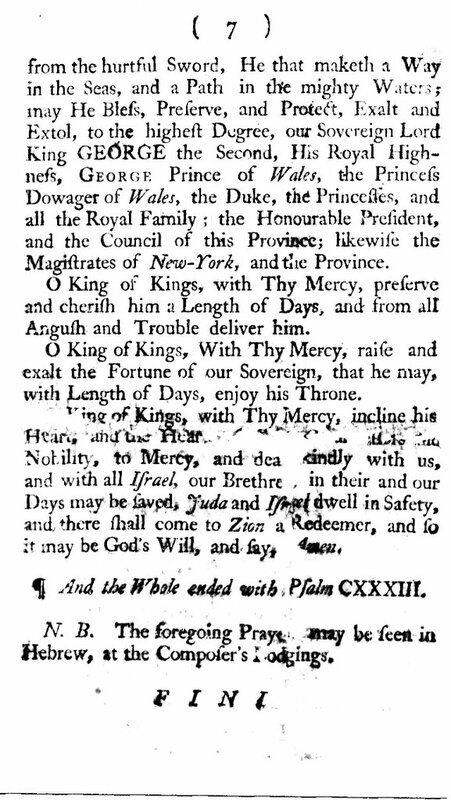 Not every reader of this blog already knows the history of typography, so I thought it might be worthwhile to discuss a curious fact that many readers must have noticed about printing in the 18th century. Basically, what is the deal with the fs (effs) in place of s? The long, medial or descending f (s) is a form of the minuscule letter s that was formerly used when the s occurred within or at the beginning of the word, for example finfulnefs ("sinfulness"). The modern letterform was called the terminal or short s.
Incidentally, the long s was never identical with an f in any of the fonts in use. It is just that in modern fonts the long s doesn't exist, so here I am using an f to represent it. How was it used? The short answer is: never at the end of the words, always in the middle and sometimes at the beginning. 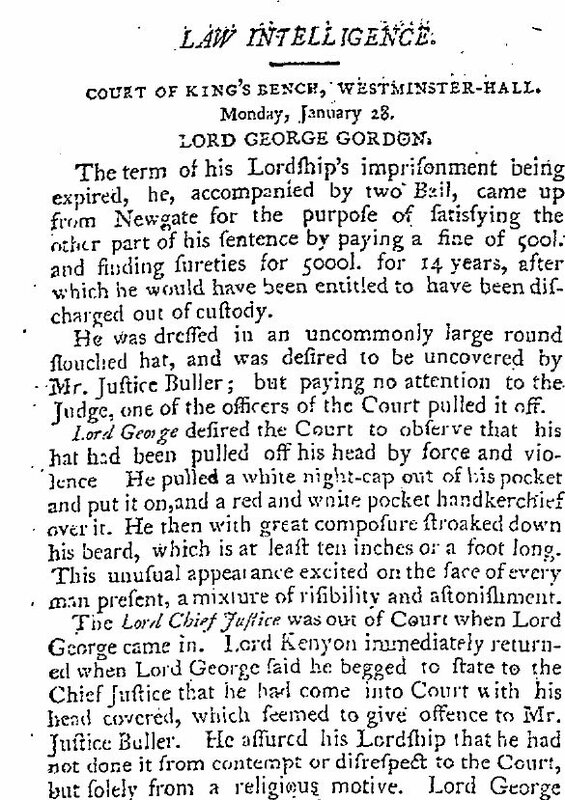 Thus, you will find examples like this: sufpicious and fufcipious but never fufpiciouf. A question that might immediately spring to mind is, isn't that stupid? I mean, the letter form looks so much like an f! The answer is basically, yes, it was a little silly and potentially confusin--and eventually the practice was stopped. But the truth is that many letters resemble one another. Take u and v or h and n or q and g (well, in some fonts anyway!) or o and 0 or some forms of i and l and on it goes. Truth is, these are all easily confused (or confufed) with one another. 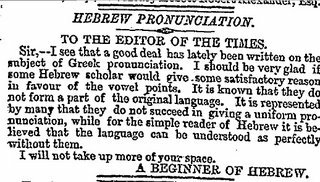 Or take Hebrew, which is also full of letters that resemble each other. Examples: ר/ ד, ב/כ, ו/ז, ע/צ ,ג/נ are all confusing for someone just learning Hebrew, no different than ح/خ are when learning Arabic. So f/f is just another quirky example, long since corrected. 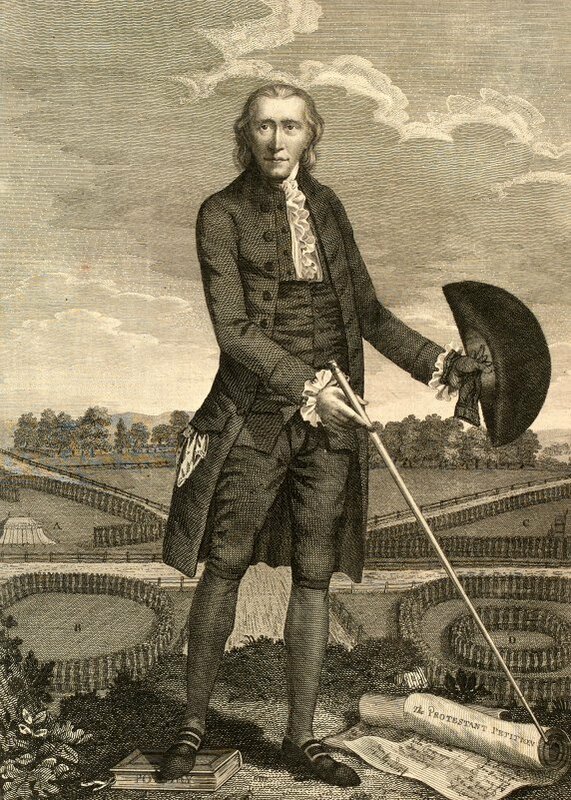 In fact, one of the interesting things I think will be apparent in this blog is that one can see the evolution of the long s from the beginning to the end of the 18th century. Pay attention to the dates of the examples I post and this will be apparent. A few years back, a new petition went out: Using a kamatz with a straight bottom line was now assur. Avos Avoseinu always made a kamatz with a round bottom, and this is how we must do it. Of course, this is simply nonsense: There’s no halacha of drawing nekudos, and the nekudos are not MiSinai (a thousand years ago, there were a few systems of nikkud, and they had just been invented). Various gedolim had signed on, though, but I have no idea of how that process works. Anyway, Artscroll, which had been using a straight kamatz for over twenty years, instantly buckled under, apologized and grovelled, and changed them all starting with their next editions. I wish I had more info about this. I don't. I do remember the brouhaha though. But I haven't noticed that Artscroll 'caved' on it. But I can show a couple of things about kamatzen. Unsurprisingly, this isn't anymore the traditional kamatz (if one could speak of such a thing!) than the Artscroll modern version. As you can see, the inventors of the nekudot, the Masoretes, wrote it as a short horizontal line over a dot which didn't touch the line. This is the real 'traditional' kamatz. At Cross Currents R. Yitzchok Adlerstein takes on the widespread criticism of Artscroll. Essentially, he writes, Artscroll is not to blame for its shortcomings. Rather, a part of the community it serves possesses these shortcomings and if Artscroll didn't cater to them then there wouldn't be an audience for Artscroll. The situation on the right is more complex. If Artscroll showed more balance, my most haredim would hardly care or voice any objection. The zealots, however, would wreak havoc. They have for hundreds of years, and their influence has hardly waned as of late. Zealots don’t just rant, rave and fulminate. They are persistent. They will call you at all times, accost you in all places. They will start whispering campaigns behind your back, malign you to your rabbeim, friends, colleagues and employers. They make life miserable for great Torah luminaries; they do the same to us commoners. Like terrorists, they don’t negotiate. Many people don’t give in to them, but virtually everyone gets worn down by them. The owners and editors of Artscroll are bright and knowledgeable. They have been around the block a few times, even if it is a single block in Flatbush. They know that quoting Rav Kook or Rav Soloveichik will without any doubt bring the taint of heresy and calls for boycott. Look what google turns up. Tsk, tsk. 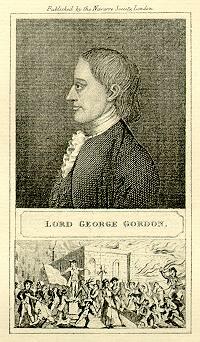 One of the most well known political figures in late 18th century England was a political radical (and radical Protestant) called Lord George Gordon, 1751-1793 (according to Wikipedia, his father was named Cosmo George Gordon. No, you can't make this stuff up!). 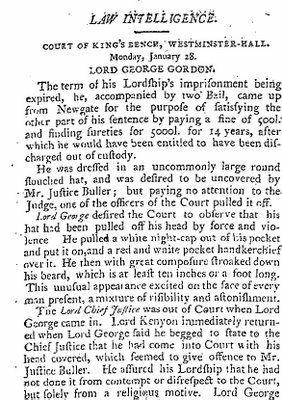 In July of 1780 he led a crowd of 50,000 people in a protest march to the House of Commons and a riot broke out for five days, for which he was held responsible by the law. 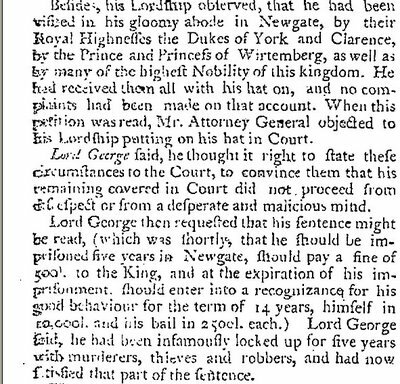 He eventually served five years in prison, but not before converting to Judaism, which is a whole 'nuther story. 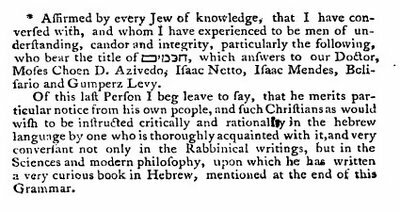 One of the most hotly contested issues in Hebrew studies in the 18th centuries was what the authority of the nekudot were in reading Hebrew (specifically in reading the Bible, but also more generally in understanding Hebrew). Theology never strayed too far from the debate, even if it also touched on scientific matters. In short, those who wished to have maximal freedom in interpreting the text denigrated the nekudot, while those who wished to place maximal trust on the textus receptus idea, the Masoretic Text, lauded them. The debate touched on many other points (no pun intended!) relating to the authority of tradition and human interpretation of the Bible (seen as favorable to the Roman Catholic Church) or whether to rely on sola scriptura (a popular Protestant position). 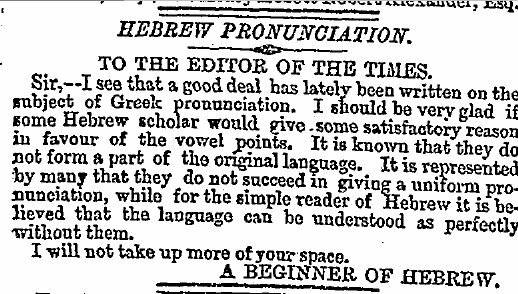 In addition, a whole crew of idiosyncratic Bible interpreters accepted only the consonants of the Hebrew Bible, and thus, of Hebrew, in order to create towers of implausible Hebrew philology some of which are truly amazing (and wrong). 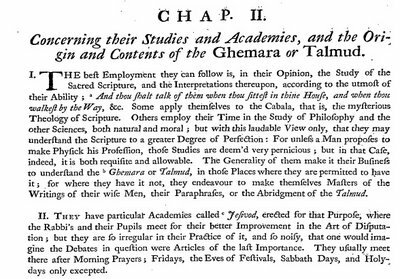 In the 18th century many Hebrew grammars were published. 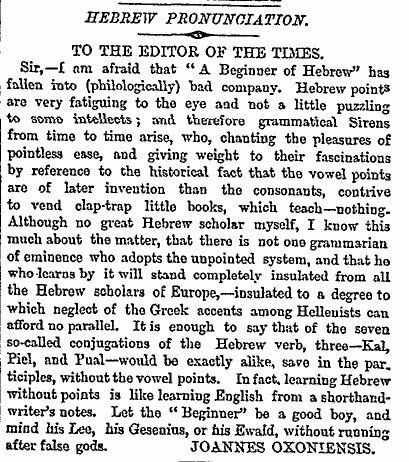 All of them bore titles like "Hebrew Grammar...with points" or "....without points" and even some "with and without points." It was practically a genre. 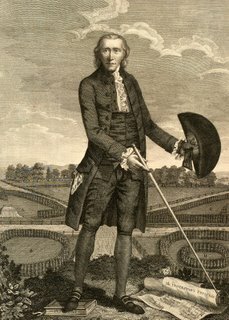 One such grammar was published by an anti-pointist Anglican clergyman named Anselm Bayly (1718-1794) (here is music book he wrote for sale with some info about him). 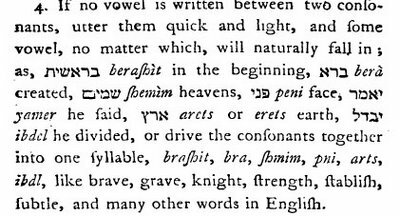 It was called A plain and complete grammar of the Hebrew language, with and without points, published in London in 1773. 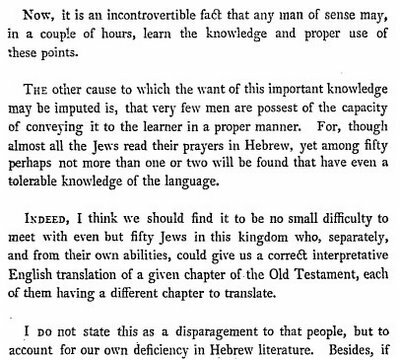 Bayly continues making his case for the Jews knowing their Hebrew: "It is certain, that the hebrew was pronounced, and its grammar understood by the Doctors at Tiberius in the third and fourth century, otherwise they could not have taught it to Origen and Jerom..."
What is he getting at? That Hebrew is a living language and those who know it can read it quite easily...without nekudot. Therefore they are unecessary. There was a nice article in the J Post yesterday about a 75 year old man who received semicha. What an accomplishment! 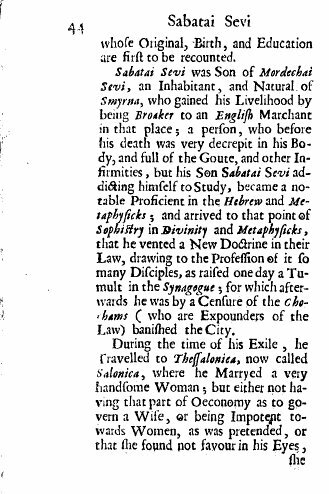 Here is an interesting account of Shabbetai Sevi by a French traveler named Jean Dumont, baron de Carlscroon (1667-1727). 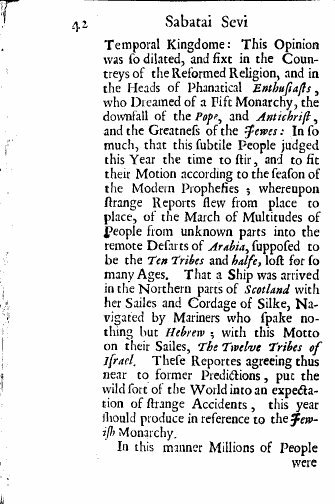 The letter was written from Izmir/ Smyrna in 1692 when he was traveling through the Middle East (the Levant). 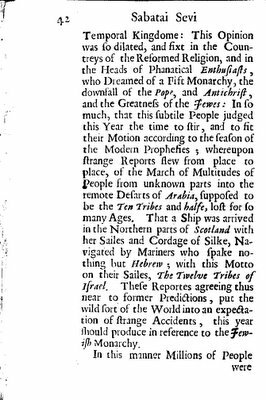 It was published in French and then in English translation in London in 1705 under the title A new voyage to the Levant: containing an account of the most remarkable curiosities ... with historical observations ... By the Sieur du Mont. 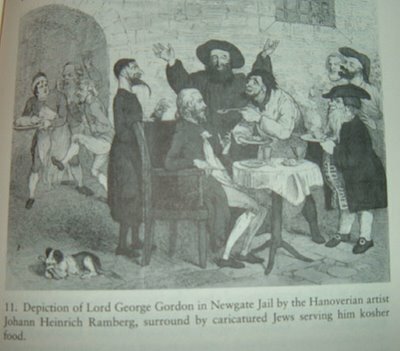 Done into English ; and adorn'd with figures.. (Incidentally, on the very next page there is a nice bit of antisemitic stereotyping. No photograph of R. Yisrael Salanter exists, apparently by design on his part. But I heard from a reliable source that his son, R. Yitzchok Lipkin is said to have looked very much like him, as sons sometimes do. I remember one particular incident that left a deep impression on me, as well as many far older and wiser. I was sitting in the beis hamedrash, as was my daily custom, talking and learning with one of the young boys I had befriended, when suddenly an old, distinguished-looking man walked in wearing immaculate rabbinical garb without a spot or wrinkle. His whole bearing exuded complete order and cleanliness; he literally sparkled from head to toe. It was truly a pleasure to look at him. 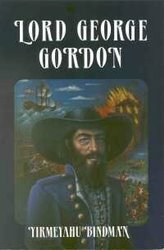 His facial expression mirrored his uniform: he had a shining face and perfectly combed hair. Obviously, he was a very important, highly regarded individual. My friend and I, who had become accustomed to seeing all kinds of eminent people coming into the beis hamedrash, were not too excited at his appearance. We assumed that he was just another Rav, not unlike all the others who passed through Vilna, until two strange things happened which made us take more notice of him. The first was the unusual way in which the shammas of the shul came over to him after he had taken his place at one of the tables that stood along the wall. After speaking to him with the utmost reverence for a few moments, the shammas walked out and returned a few minutes later with a bundle of handwritten manuscripts which he handed over to him. 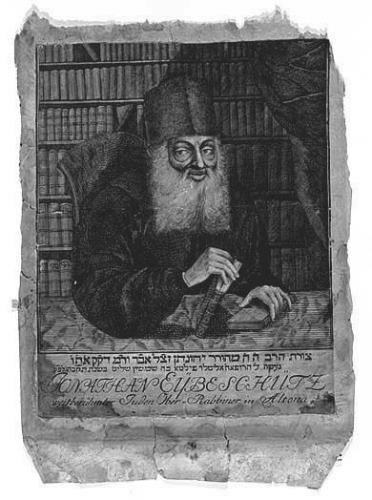 The distinguished guest, who had swept away any particle of dust from the bench before sitting down, took a lustrous silk yarmulke from his pocket, took off his hat, placed the yarmulke on his head, and began to study the manuscripts intensely. We had never before witnessed this kind of greeting from the shammas and began to see that the man before us was indeed extraordinary. ...At this point I could no longer restrain myself and asked around as to the identity of the guest and was told he was none other than HaGaon Rav Yisroel Salanter. 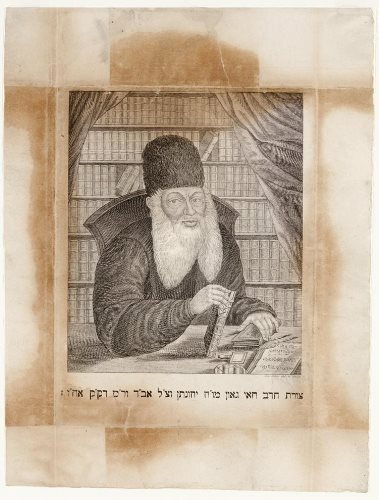 The manuscripts brought to him by the shammas were the handwritten manuscripts of the Vilna Gaon himself! Another of R. Eybeschutz (no date as I can tell). UPDATE (3/24): a third of R. Eybeschutz, this from 1764. The Gra, this one is from 1797! 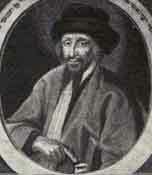 R. Samson (ben) Raphael Hirsch. 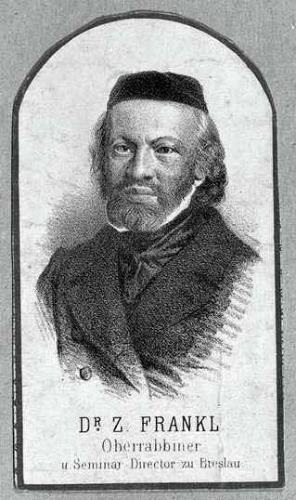 Shadal (R. Shmuel David Luzzatto). Shir (R. Shlomo Yehudah Rapoport). 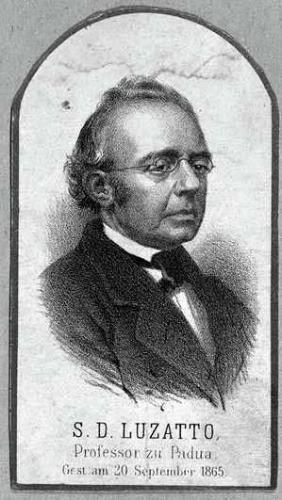 The above four pictures came from a photo published in 1868. 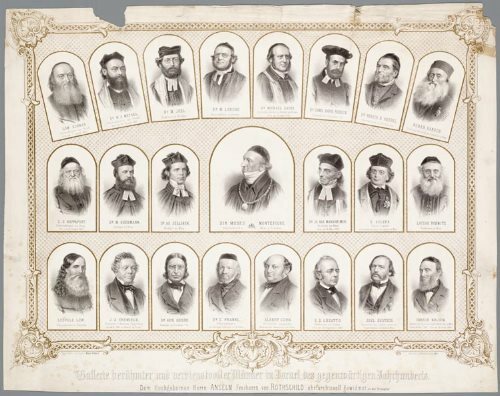 It features, best as I can tell, Moses Montefiore in the center and the above as well as other rabbis, Orthodox and non-Orthodox. The caption on the picture is "Gallerie ber?hmter und verdienstvoller M?nner in Israel, des gegenw?rtigen Jahrhunderts," which Babelfish thoughtfully told me is German for "Gallery of famous and deserving men in Israel, the present century." 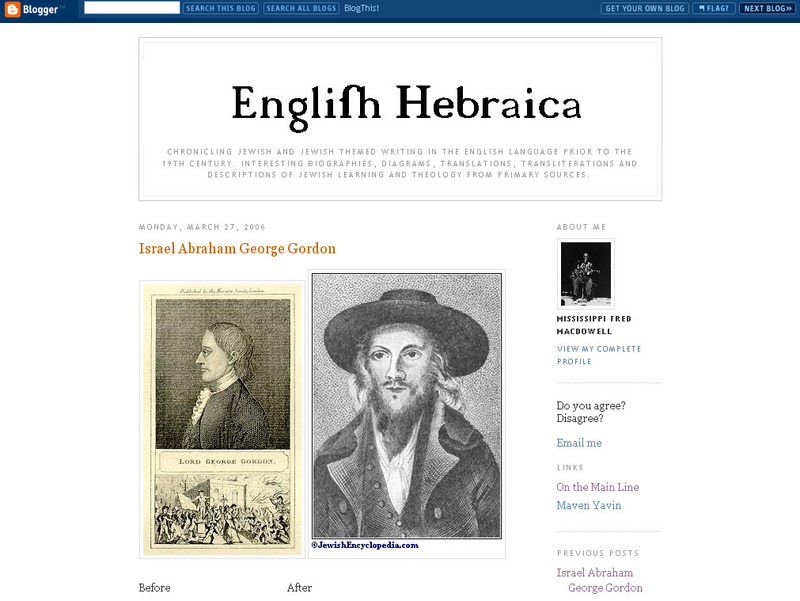 "SAUL LIEBERMAN and the orthodox"
Strictly speaking this is seventy years out of date for this blog, but I couldn't resist posting it, or shall I say, couldn't refift pofting it. Yediah on D. W. Halivni and the redaction of the Talmud Bavli. (Gittin 8a) "...תוס' ד"ה רבי יהודה אומר: שאל רבינו פטר לר"ת"
"Rabbenu Peter (?) asked Rabbenu Tam..."
In four or five places in the tosafos on Shas a Tosafist called רבינו פטר is quoted. Usually פטר is vocalized "Peter," for it is assumed that was his name. While non-Hebrew names are certainly not unusual for rabbis and regular Jews of every era, we don't often find rabbis that share a name with an apostle, certainly not in medieval Europe. This רבינו פטר was in fact named פטר בן יוסף and was a talmid of Rashbam and Rabbenu Tam. 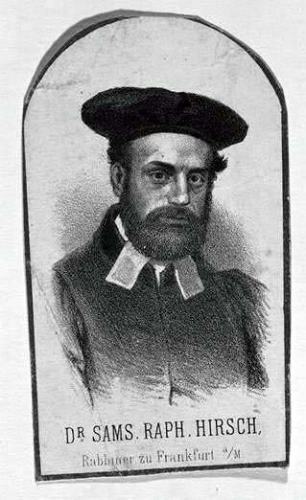 He was also rabbi in Kaernten in Austria and died there in 1146 during the 2nd Crusade. "כמו שמעון כיפה שאומרים פטר חמור"
According to H.J. Zimmels (JQR Vol. 48, No. 1. (Jul., 1957), pp. 51-52.) this is all one big mistake. The name פטר should be vocalized "Pater," the common translation of the name "Abba." 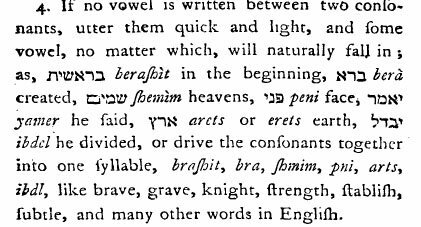 In the Middle Ages Hebrew names were often translated into Latin (e.g., Justis for Zaddok, Vivacius for Hayyim). If so, perhaps Rabbenu Peter ben Yoseph was actually named Abba (at least at his bris! ), and he was really Rabbenu Pater. 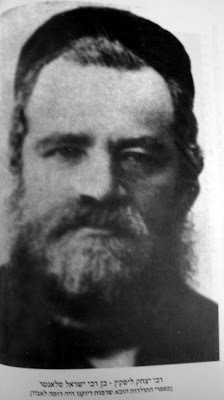 Who Was R' Shlomo Dubno? 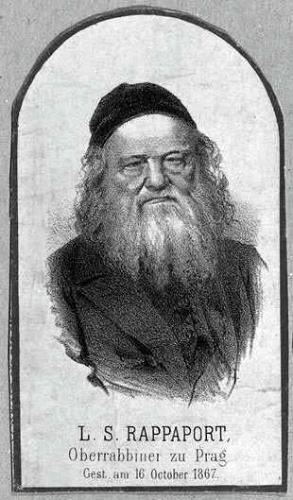 In the past, many considered Reb Shlomo [e.g., Solomon Dubno] to have been one of the infamous Berlin maskilim because at one time he collaborated with Moses Mendelsohn, the father of haskalah. 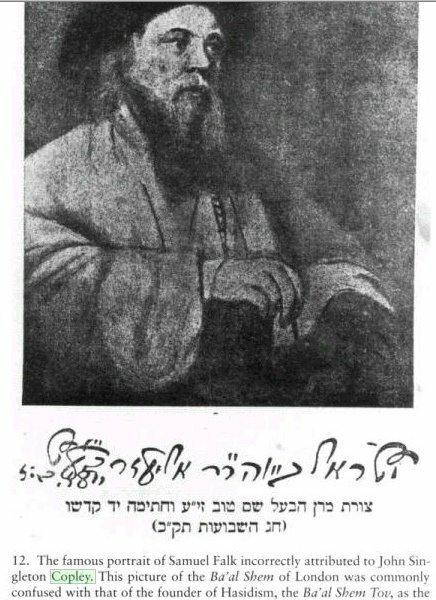 The problem with this theory is that later, when Dubno was about to publish a Chumash with his own commentary, he received letters of approbation from many great rabbonim, including the greatest among the Vilna Gaon's talmidim, the brothers Reb Chaim and Reb Zelmele of Volozhin. So there you have it, straight from the Talmud: At the young age of 15, the typical boy is already committing murder and/or idolatry several times a week, and perhaps several times a day. And this is exactly what many young people are going through, and they're going through it mostly in isolation, many of them unaware that there are 200 other murderers in their school alone. As far as I can tell this problem, from whichever angle you examine it and whatever your view is, is almost totally not spoken of. Here is an excerpt from the introduction to Jewish Englightenment in an English Key by David B. Ruderman. It is wordy, but I could not put it better if I tried. Well, actually, I probably can put it in fewer words, only not better. 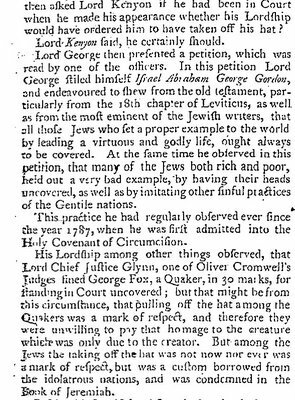 It captures perfectly the spirit of the time, the 18th century, and the place that English-speaking Jews were in. This is the true backdrop for this blog. I was planning a post along these lines, but lo and behold I discoverd Ruderman's excellent book. In his intro he basically said that this entire topic is virtually unknown and virtually unexplored, which is why he wrote his book. I noticed that myself, which is why I began this blog! But it turned out that I was beat to the punch. Ruderman's book was published in 2000, while I only recently discovered this wealthy topic. 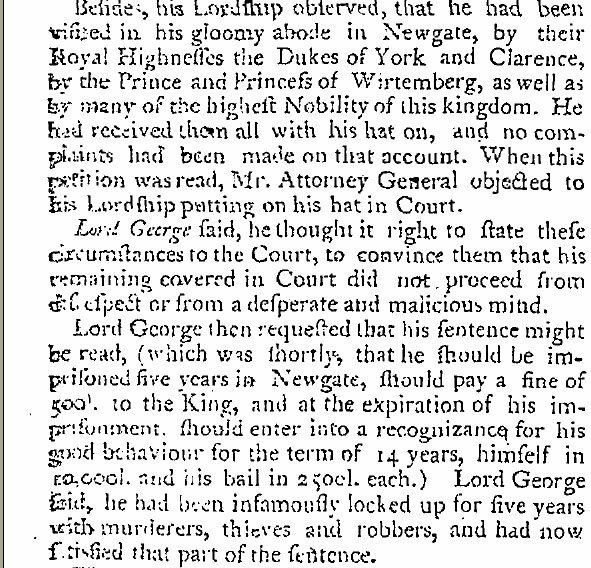 Anyway, I truly cannot expect readers to read such lengthy excerpts (if I am to judge by my own blog-browsing habits). Given that, I will post a shorter, chewed up version of this post at a later date. It will explain the zeitgeist behind this blog. Hopefully readers will at least read the text I bolded. 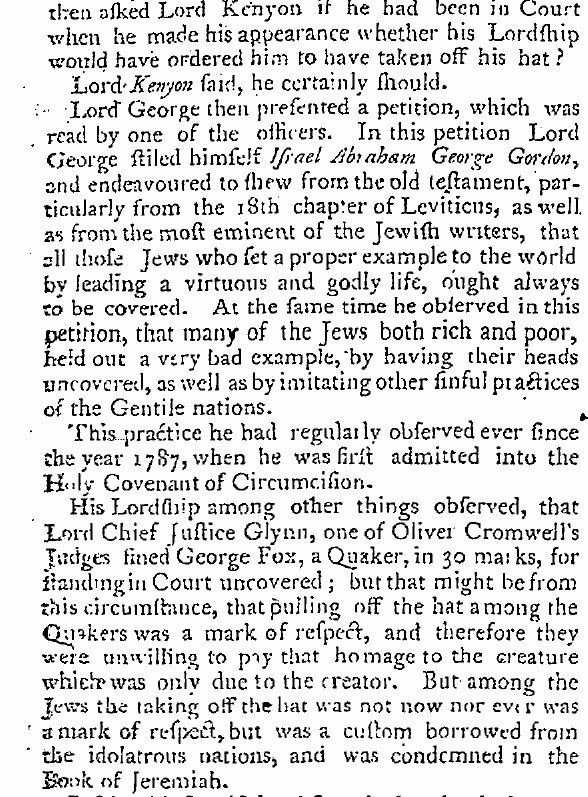 As Anglo-Jews sought to define their religious and cultural identity within a linguistic frame of reference, a kind of English playing field, so to speak, common to both Christians and Jews, the ultimate issues that concerned them, the way they reflected on themselves in relation to the other, and their social and religious aspirations were all thoroughly affected. 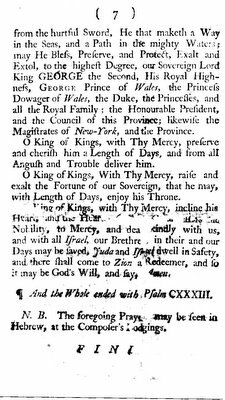 In a society where the English Bible was central in defining the character of the nation as a whole, English Jews became indistinguishable from their Christian counterparts in learning to appreciate sacred scriptures through the agency of the official King James Version. 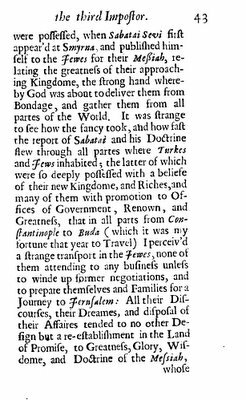 But some soon discovered that the English Bible was not necessarily an authoritatively Jewish one, and that translation could often distort the original meaning of a text, blurring the traditional boundaries that had separated Jewish from Christian readers and believers. If the translation was inferior or theologically spurious, how could a Jew who knew better sit silently by without objecting to the obvious violation of the text and its originally assigned meaning? 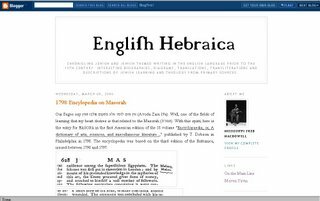 At the very least, the official English translation had previously been dependent on a traditionally Jewish Hebrew version, the Masoretic text. 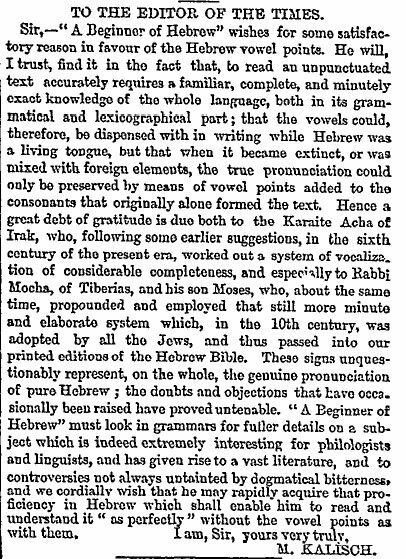 In an age where Christian clerics were mastering the Hebrew language in an effort to translate anew the original in order to bring it closer to its "authentic" Christian understanding, and when they even questioned the reliability of the Masoretic version, the matter became more complicated for Jewish rabbis and educators alike. Did Christians actually have the audacity to claim that they could understand the Hebrew text better than Jews, the original guardians of the text? If the Hebrew Bible could be made accessible to Jews and Christians alike in English translation, which translation was to be used? And who had the ultimate authority to determine the true meaning of the text in translation, to interpret the authentic words of God? 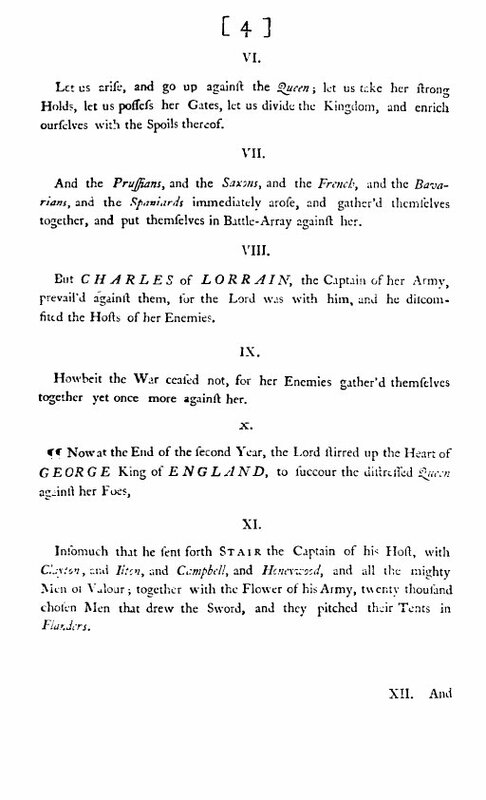 In the new intellectual world of Christian scholars and clerics armed not only with Hebraic knowledge but also with a new array of paleographical and linguistic methods of reading the text, it became increasingly difficult for the Jews of England, at least their most highly educated, to claim a commanding position as the proper transmitters and interpreters of the Holy Bible. 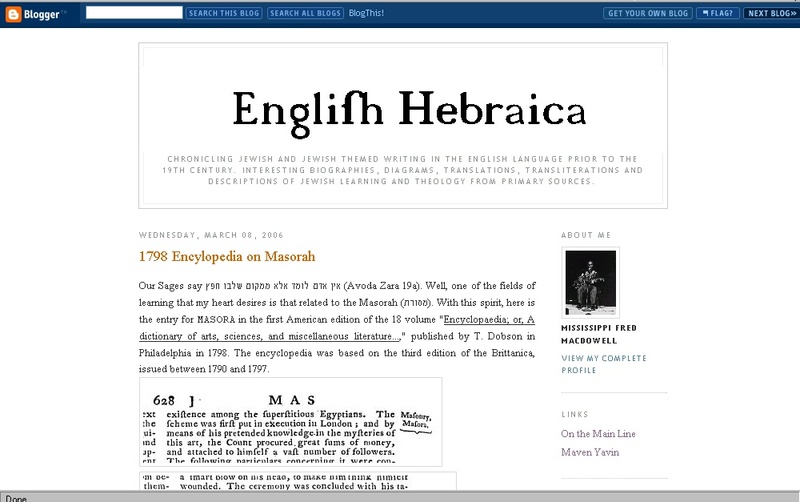 In a Jewish community that had virtually translated itself into an English religious and cultural entity, the challenge of a new Christian ascendancy of master translators of the biblical text, along with their new prerogatives claiming exclusive Christian ownership of the text, was felt acutely and painfully by Jewish leaders and educators. German Jews were to experience a similar encounter with the new Christian biblical scholarship and its alarming claims to undermine the traditional Jewish hegemony over the Hebrew text. 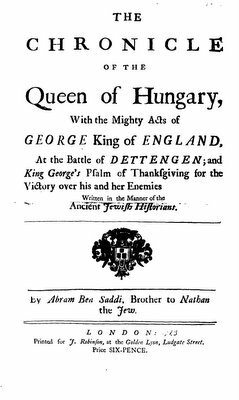 But English Jews encountered this threat more directly and more profoundly than others given their already considerable stake in reading and studying the Bible in English translation. The quality of the work varies as it does in any area. At Yated we set our standards high and we believe that we generally meet or beat them. 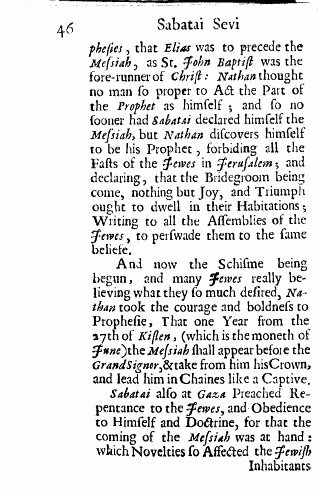 In any case mediocrity is deplorable, but it is by no means unique to the field of biographies of Torah giants. A related complaint that is sometimes made is that we leave out information. This is true, but the reason is that in our Torah-based scale of values, the harm or embarrassment that can be caused to someone — perhaps a family member or bystander — rates much higher than the needs of the historical record or journalistic objectivity. The actual or potential tears of a widow or an orphan weigh very heavily, and we unhesitatingly withhold any information or anecdote that may cause such pain. Even after we take this out, there is always plenty of material for our readers. This is not something to scoff at on the face of it, but it remains to be seen if actual or potential tears are really averted when people's lives, ideas and ideals are edited in this newspaper for popular consumption. Full text of the Jewish Observer's piece (The Jewish Observer, January/ February 2006) by R. Dr. Levi mentioned here is available here. I am currently a talmid in Chaim Berlin Yeshiva. One might call me more scientifically oriented but I would call it a rationalistic orientation. A number of years ago I decided to investigate how statements in Torah and Chazal correspond with current knowledge of geology, paleontology, ancient history, archeology, biology, genetics, etc. (all this happened years before I found many of my questions answered in Rabbi Slifkin's books).Well, there is a big gap in between them. Before I proceed, I should mention that I not only read books in these subjects - I also read the evidence on which these sciences are based and also I read books (usually but not always written by fundamentalist Christians or (lahavdil) charedi scientists and laymen) which write critiques on all of the mentioned above scientific fields; at the end I compared the evidence for these sciences and against it. In many many cases I feel that geology, paleontology, ancient history, archeology, biology etc. are based on very solid grounds. I had a major problem that Torah (seemingly) says one thing and evidence/reason says completely the other. I tried to find some Jewish literature which discusses these subjects. A) First of all, and the most unnerving, is that there is almost no material on how to deal with all these problems. I say the most unnerving" because I feel if people do not want to write about it - it means that these are real problems and we have no answers to them. a) are well written scientific works but only undress one contradiction at best and leave very many more questions unanswered. b) I would call it pseudo-scientific (meaning they try to resolve the contradictions of Torah and science by using science which scientists themselves would laugh at and they do). For ex. so-called young earth/creation science. I do not want call these frum Jews liars but they present false information. c) A lot of material found in this book is plagiarized from Christian writings without quoting their sources. I call it a form of theft in some sense. 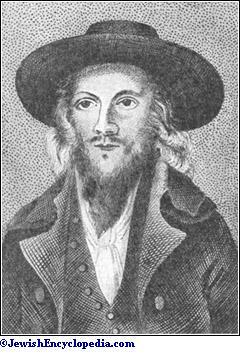 For example some books say that earth was created old looking (I am aware that there are Midrashim who say Adam was fully created); however this idea of old looking earth actually is called Gosse Theory who was I think was a priest and published his ideas in 1850's. I think that person who said the idea first, and somebody else took it from him, must get credit. So many book are copycats. I was greatly distressed by these contradictions. I think that if a person knows very little about earth/human history it is very easy for him not to be bothered by these questions. To say it mildly - It's a BIG PROBLEM IF EVEN THE VERY BEGINNING of our holiest seforim contradicts everything that we know about earth history (one can only then wonder about the rest of the sefer). My general experience is that the less people are bothered, the more ignorant, uneducated they are (there are exceptions). Small point on the side - a person can have a PhD in math, physics, computers etc. and still know zero on earth science and history; and many who think of themselves as very educated really know zero in these other areas. Now I do not think that I would become (Chas VaShalom) less frum because of this, however these unresolved contradictions made me more in doubt, nervous, especially, as I mentioned above, the deafening silence of Jewish books on these issues. I strongly suggest for anyone who wants to understand me to read a good geology or paleontology book. I think any honest person who will research these fields will have many questions. Boruch Hashem - a few years ago I found Rabbi Slifkin's books that deal with many of these contradictions. In Rabbi Slifkin's books he answers many questions that I had - such as that the geological and astronomical facts do not correspond to the order listed in Bereshis or to the order mentioned by the Rishonim; spontaneous generation; and many other questions. Most importantly I had found Rabbi Slifkin's books to be scientifically correct and he does not "steal" from Christian writers. Rabbi Slifkin's books strengthened my belief in Torah and Chazal tremendously and eliminated most of my serious doubts. In December of the previous year I saw my Rosh Yeshivas shlita letter against Rabbi Slifkin. I was and still am extremely hurt and disappointed by it. I am sorry that my Rosh Yeshiva again attacked Rabbi Slifkin. Finally I had found answers to a lot of my questions and now my Rosh Yeshiva shlita is attacking Rabbi Slifkin. As I mentioned above, I strongly suggest for the Rosh Yeshiva shlita if he wants to understand me to read a good geology or paleontology book. The Rosh Yeshiva shlita may not be bothered by many of these questions but I am. I always wondered if the Rosh Yeshiva shlita had been born in an good catholic, Islamic, atheistic or Hindu family would he ever recognize the truth is not what they would teach him. Or maybe he would just become instead of Rosh Yeshiva shlita a great cardinal, mullah, skeptic or Hindu priest. How would the Rosh Yeshiva know that these religions are false? I think that the Rosh Yeshiva shlita would investigate his religion and see if its true. So I think that a person is allowed to ask questions and to get answers. I think that if the Rosh Yeshiva shlita wants to attack someone then let him first write a good scientific book that resolves these issues in a manner that is pleasing to the Rosh Yeshiva shlita and maybe only then criticize others. 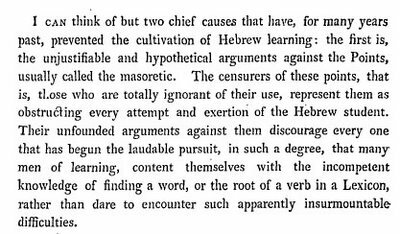 I think that is exactly what the Rishonim did - if they didn't like what other one said they wrote different explanations as they saw fit. 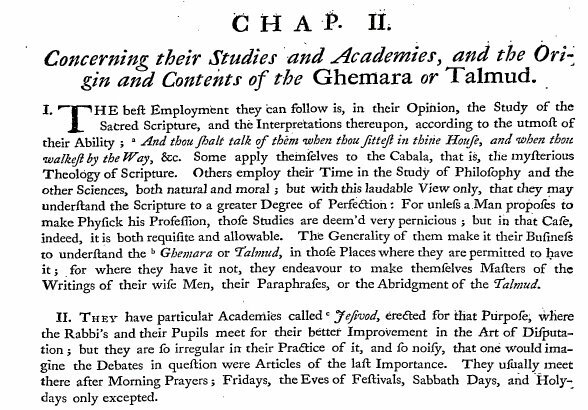 Ramban did not just attack Rambam on sefer HaMitzvos - he wrote a very big commentary on it. I don't actually expect the Rosh Yeshiva to write books on this subject (I think that he is busy doing other very important things), but people will understand what I mean. I have greatest respect for the Rosh Yeshiva shlita but I very strongly disagree. I sincerely wish the Rosh Yeshiva Shlita to live to 120 years in good health and most importantly to increase knowledge and Kovod HaTorah in the world. May it be so. Many of my friends also agree to the points mentioned above. Talmid of Yeshiva Rabeinu Chaim Berlin. 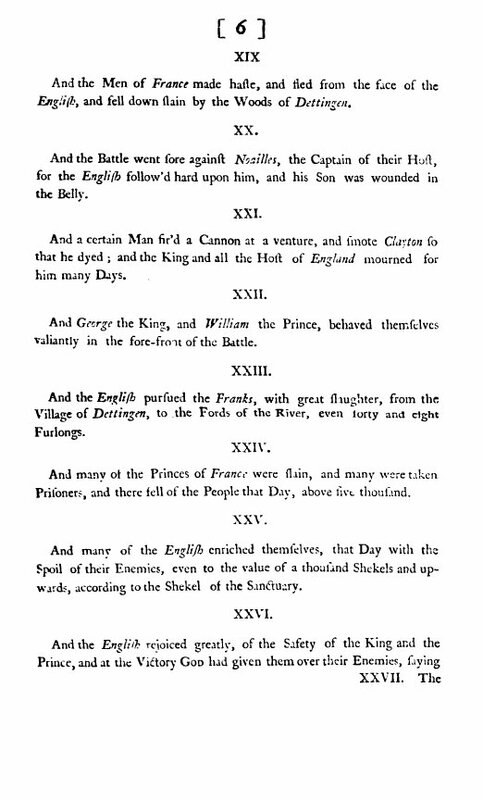 This is from the seven-volume "The ceremonies and religious customs of the various nations of the known world: together with historical annotations, and several curious discourses equally instructive and entertaining" (its nice to have that kind of confidence about one's own work, isn't it?). 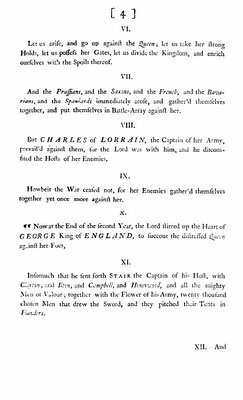 Originally in French, and featuring plates by Bernard Picart this comes from the translation published by William Jackson in London, between 1733 and 1739. 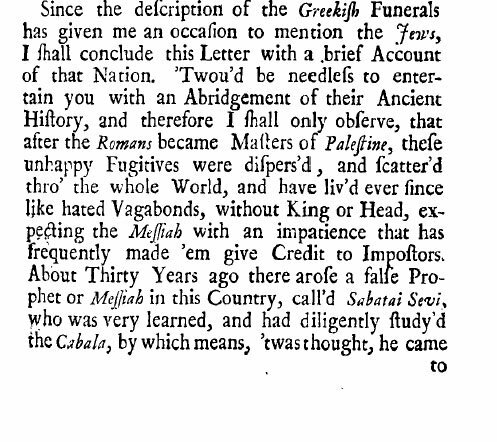 The translation was made by "a Gentleman, some Time since of St. John's College in OXFORD." 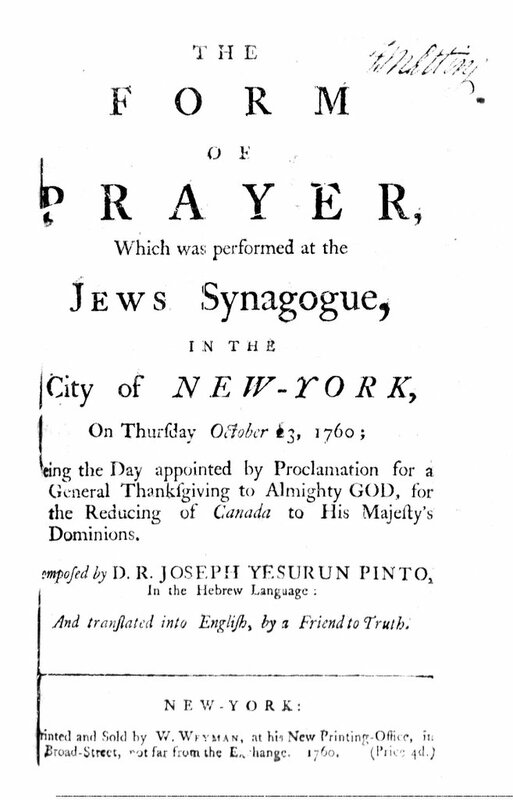 The first volume deals with Jews and Judaism and is a treasure trove of interesting material. 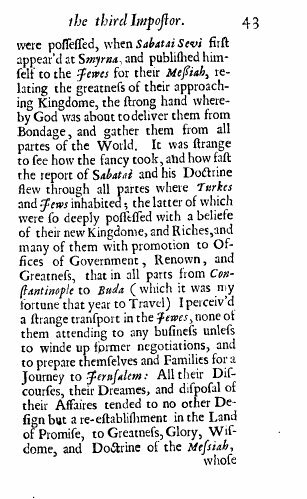 This excerpt is particularly interesting, not only because it discussed yeshivot ("Jesivod"), but also because it alludes to a historical tragedy: because of campaigns against the Talmud it was possible to speak of "those places where it is permitted to have [the Talmud]," for "where they have it not, they endeavour to make themselves Masters of the Writings of their wise Men, their Paraphrases, or the Abridgement of the Talmud," (Ein Yaakov?). Although the disciples of Shammai and Hillel were unable to settle their disagreements, "they treated each other with love and friendship" (Yevamos 14b). We would do well to follow their example. This is especially important today, when Divine Providence is hinting to us that redemption may not be far off - provided we permit it to come by eliminating unjustified hatred from our midst. When Halachic authorities deviate from these guidelines, the results can be very destructive. The reader, especially if he has spent time in Eretz Yisroel, is likely to be familiar with ... huge posters, "signed" by great Torah authorities, plastered all over walls and bulletin boards, attacking actions that were approved by other Torah authorities - and attacking them in the most extreme and virulent terms, without ever having discussed the matter with the approving authorities, or even mentioning these - leaving the public confused, if not worse. A hundred years ago, the founders of Agudath Israel showed the way by convening the spiritual leaders of almost all factions of European torah Jewry ... How sad that in the last generation, it was made to fall apart - at least in Eretz Yisroel. Resorting to labeling, instead, is much, much easier, but also far less constructive - to put it mildly. Before we disqualify any idea as totally out of bounds, we should first make sure that not one accepted authority supported it. Since I haven't read the article I don't want to characterize it one way or the other, apart for taking the liberty of inferring that it does in fact refer--even if only in part--to L'Affaire Slifkin. If it didn't, the article would explicitly say so and those who've read it say that it does not deny that this is an element addressed in it. So, what's peshat? The Jewish Observer is, after all, the monthly mouthpiece of the Agudath Israel of America, whose policy is ostensibly set by a rabbinic panel called Moetzes Gedolei HaTorah, members of whom recently wrote a letter calling the books in question of "impudent and audacious spirit". Do you see the quandary? While I don't believe that the Moetzes personally approves articles for publication in the Jewish Observer, it is not exactly a free press. Articles published therein reflect the views of the Agudah, not unusual for a party publication, whose views come from on high. On the one hand its possible that this article was an oversight, it somehow slipped in under the door and will be strongly repudiated. But maybe not. As I see it, there are two possibilities. One is simply that American gedolim are in fact tired of the new situation they've found themselves in, that of being led by gedolei Eretz Yisrael. Everyone needs a little autonomy. The other possibility is that this Slifkin maaseh isn't going away. Some of the hamon is upset, clearly. 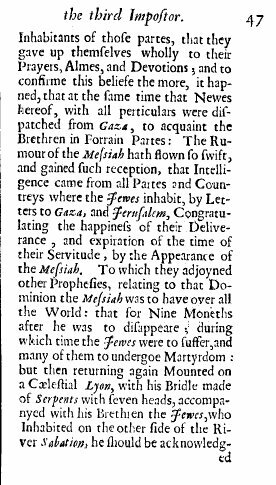 As it stands, this episode will probably receive four lines of text in the 2068 edition of the Encyclopedia Judaica, at most. But like a snowball careening down a mountain, who knows really where it ends? R. Dr. Leo Levy is a prominent rabbi--but he isn't a "godol," and my apologies to him for pointing that out. Publication of this article allows daas Torah-niks to dismiss it entirely, because R. Levy isn't a godol. But the genuinely perplexed and upset laity can feel soothed by this article and everyone wins without anyone changing their mind. *The Jewish Observer is described as "filled with the views of leading Torah thinkers on current issues." Come on, you know you want to visit my new blog!